Vitamin E is an antioxidant having a number of nutritional benefits in humans and occurs naturally in several foods we consume. It comprises eight different compounds which can typically bifurcated into two categories, namely, ocopherols and tocotrienols. Each category can be further divided into vitamers—α, β, γ and δ—of chiral organic molecules. Of these, α-tocopherol (or alpha- tocopherol) has been considered to be the primary molecule in ways more than one. The vitamer α-tocopherol has a predominant presence in the diet and, hence, Vitamin E supplements almost always contain this molecule. Some of the other key forms of vitamin E are γ-tocopherol (or gamma- tocopherol) and γ-tocotrienol, which have gained significance in molecular researches. The intake of most of the supplements of vitamin E is motivated by its role in reducing various deficiencies. Since the deficiency may be intrinsically related with bone fractures, vitamin E supplements are recommended to elderly people. This is one of the key reasons that make its supplements widely popular. Compared to alpha- tocopherol, gamma-tocopherol is a natural tocopherol and with less antioxidant activity. However, over the past decade, gamma-tocopherol has gained increased clinical significance and is considered equally important form of vitamin E in human diet. In recent years, several researches have been conducted to explore the efficacy of gamma-tocopherol in preventing the risk of a variety of diseases, such as asthma, various cancer types, metabolic syndrome, cardiovascular disease, Parkinson’s disease, and Alzheimer’s. Most of these point to promising scope for the growth of the vitamin E market. The key motivation for the intake of gamma-tocopherol stems from its ability to reduce inflammatory threats to a large extent. It is considered as the primary cause of a variety of degenerative diseases, whose risk aggravates with aging. The global market for vitamin E is characterized by a consolidated landscape on account of the top five companies holding over half the global demand. Competition is strong in the market on account of low entry barriers to aspiring players. Currently, manufacturers are expending their energy and money exploring better production means to cater to the massive demand worldwide. They are also trying to gauge the potential of substitute sources such as rapeseed, deodorized distillates from palm oils, and blended sources to concentrate characteristic vitamin E.
Rising fortunes of people around the world coupled with increased health consciousness has majorly boosted the demand for vitamin E supplements, which has several health benefits. Besides, consumers’ dislike for toxic chemical additives in personal care products and food and beverages has also helped to augment demand. Another important growth driver is the solid distribution network and energy drinks, tablets, and, capsules touting vitamin E as an ingredient. Additionally, the burgeoning geriatric population worldwide is another factor leading to the swift uptake of vitamin E, which helps to stay fit by slowing the naturally aging process and controlling blood pressure levels and cardiovascular diseases. Going forward, the animal feed additives market is predicted to boost demand for vitamin E substantially due to the increase in livestock production for meat. Vitamin E is an important micronutrient used in the livestock feed industry for they help to enhance health, immunity, and reproduction in them. A noticeable trend in the global market for vitamin E is the growing sales through online channels. Raw material shortage, however, is creating gap between demand and supply in the market thereby pushing up the price of vitamin E.
From a geographic standpoint, Europe and North America are key markets for vitamin E. In North America, the U.S. is an important contributor on account of the increasing elderly population, increasing means and awareness of people to spend on dietary supplements, and robust distribution channels. The Europe market is mainly powered by the solid demand from the animal feed sector in Russia and Germany. Asia Pacific is another fast growing market on account of massive meat production. China vitamin E animal nutrition market holds a sway in the region. Besides, India is another major contributor to the market in Asia Pacific on account of the significant meat production. Japan, due to a vast pool of elderly population keen on vitamin E supplements to help them stay healthy, has also augmented demand in Asia Pacific. Some of the prominent companies competing in the global market for vitamin E, profiled in the TMR Research report are American River Nutrition, ADM, Cargill, BASF, and COFCO Tech Bioengineering. 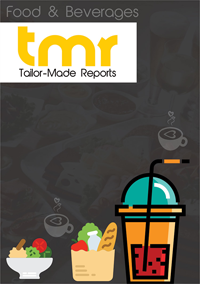 The report studies their product offerings, market share, and prospects. It also leverages market-leading analytical tools to uncover the opportunities and threats awaiting them.